Finally, a drink mix that I can feel good about serving to my family! Calling it a “drink mix made right”……Everly is proud to have launched an all-natural drink mix that is not only a healthier choice but it is delicious too. Everly drink mixes features three delicious flavors including Peach + Mango, Pomegranate + Maqui Berry and Green Tea + Passion Fruit. As an eco-conscious mom, I appreciate that Everly is backed by a social giving model that is easier on the Earth and a tasty beverage that can be enjoyed by adults and children too. Unlike those other brands that we don’t drink in our home, Everly is made using simple, all-natural ingredients. I love that I don’t have to worry about artificial ingredients, chemical additives or massive amounts of vitamins that are not beneficial to my family. My favorite feature of Everly drinks is that it is sweetened with my personal sweetener of choice, stevia. Therefore, there are no calories, no high sugar content and no artificial aftertaste. The drink mixes are conveniently packed for individual servings (I take them along with us in my bag when we are out) and it is very easy and quick to make too. We simply add it to a 16 ounce glass or bottle of water and them shake it up and enjoy! As an avid tea drinker, I really like the Green Tea + Passion Fruit which includes Vitamin B1 (20%), Vitamin C (50%) and magnesium (10%). Touted as a beverage for Concentration, this is a wonderfully hydrating drink that I enjoy before heading out on an afternoon bike ride with my family. It has a subtle, delicious taste that is not overly sweet and it has the refreshing taste of green tea. My husband enjoys the Energy drink by Everly that features Peach + Mango. It has the taste of juicy peaches and mangoes and includes natural caffeine derived from guarana seed extract and B vitamins for extra energy. Mark said it is the perfect pick-me-up drink while he is working the night shift and during the lull in the wee hours of the morning. Instead of drinks with massive amounts of caffeine that leave him feeling edgy this gives him just the right boost and he commented that it is delicious tasting too. Finally, my children (and I) love the Antioxidant drink mix, Pomegranate + Maqui Berry. 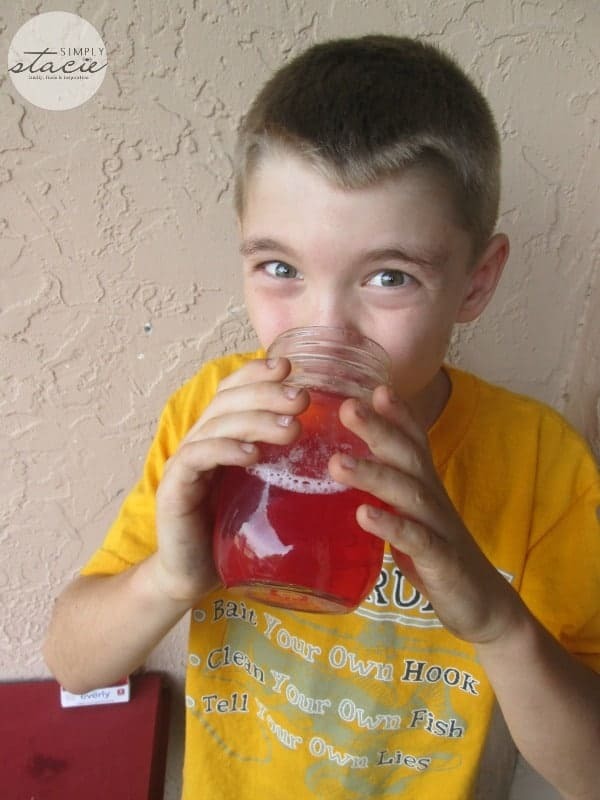 It is absolutely delicious and it uses fruit juice and vegetable juice for coloring! I appreciate that it contains Vitamins A, E and C along with fruit extracts to give my children an extra boost of antioxidants. You can purchase Everly drink mixes online or it is available at Whole Foods locations too (SRP $13.49 for 3 pouches that have 6 individual packets in each). Simply Stacie readers can even score free shipping at the Everly online store using the code CHRISTMASCAMEEARLY! Connect with Everly on Facebook, Pinterest and Twitter. My first thought was: oh, no, natural but full of sugar. Then you mentioned stevia. That makes these mixes really worthwhile, imho. ooo those look tasty. never heard of these before! I like healthy teas as well. These look worth checking out. I am a tea fiend, thank you! I have to see if the local Whole Foods has this. I used to drink sugar-free drink mixes, but totally gave that up. I buy juice, but sometimes you don’t want to have to deal with a large (esp glass) container. The flavors are awesome! Yum! Would love to try the green tea. Wow, this sound great! I love anything that has natural ingredients. The energy one would be great for my husband to drink before work! These would also make a great gift for my mom! Nice, it is great to finally see a drink additive that is all natural. Will definitely check these out next time we can get to a Whole Foods location. Thanks for the review. I have been looking for something to drink that’s more natural. Those flavours sound great! I love that it uses stevia and not sugar. 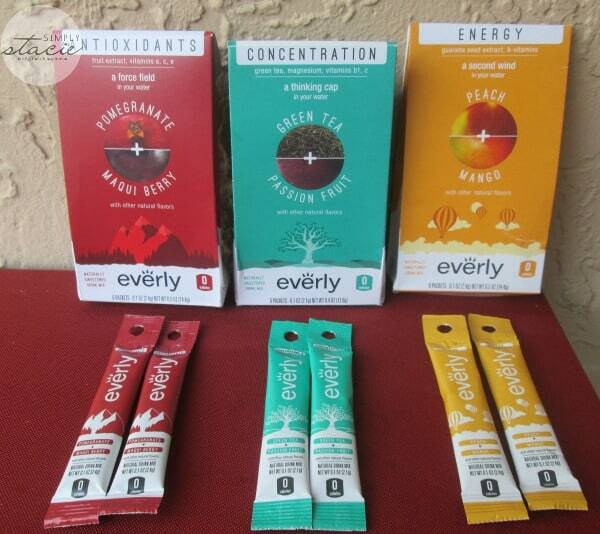 I have tried other drink mixes and I would love to give Everly a try. I drink green tea every day so I think I would like to try the green tea + passion fruit. Thank you for sharing this review. Those look like delicious drinks. I hope to try some soon!